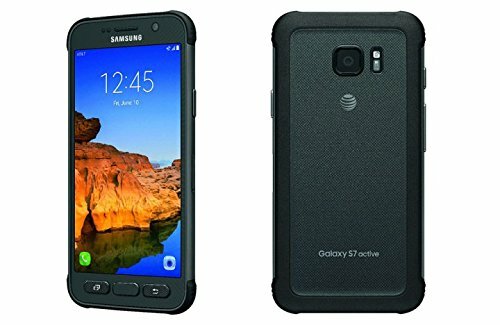 Samsung S7 active is IP68-certified, meaning it's dust- and water-resistant. However, unlike the regular S7 and S7 edge, the S7 active is shatter-resistant: according to Samsung, it will survive "drops from 5 feet or less on a flat surface". Moreover, the rugged phone packs a 4000 mAh battery - considerably larger than the 3000 mAh battery you can find inside the regular S7. The S7 active is the first Galaxy active smartphone to include a fingerprint scanner (embedded in its home button). That aside, the handset offers most of the features that the regular Galaxy S7 has, including a 5.1-inch Super AMOLED display, a Snapdragon 820 processor, 4 GB of RAM, and 32 GB of expandable storage space. The phone is also great for taking photos and shooting video, as it comes with the same 12 MP rear camera that its S7 siblings have.